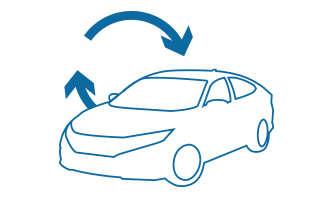 At Germain Honda of Ann Arbor, we provide an easy turn-in process at the end of your lease. We typically advise our customers to start thinking about their options about 6 months prior to the time their lease is up so they can choose the best option to suit their needs. During the last two months of your lease, you can schedule a free vehicle inspection through Honda Financial Services or we can assist you with setting one up. Your current lease includes a $500 Excessive Wear and Use Waiver. 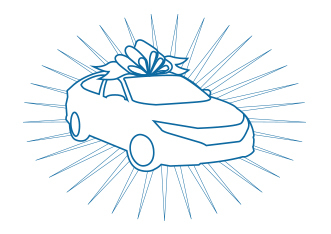 If you lease a new Honda*, you may qualify for an additional waiver and have your turn-in fee waived. ** We can assist you with determining any outstanding payments, excessive mileage, and other obligations specified in your lease contract. 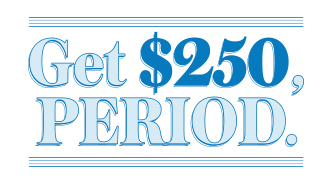 Plus you’ll receive $250 for turning in your vehicle at Germain Honda of Ann Arbor. If you choose to turn in your vehicle without purchasing or leasing a new Honda, you are welcome to turn in your car to Germain Honda of Ann Arbor. You’ll receive $250 when you turn in your vehicle to us so that we can gather great vehicles for our pre-owned inventory. * Make sure you schedule a free vehicle inspection during the last couple of months of your lease. You’ll qualify for an Excess Wear and Use Waiver, but you will be responsible for any wear or use that exceeds the waiver. We can assist you in determining any outstanding payments, excessive mileage, and other obligations specified in your lease contract. When you’re ready to purchase your Honda, you can contact us to assist you with getting a payoff quote, login to your account, or by calling 734-707-0785. We can also assist with financing the balance on your leased vehicle and provide options for an extended warranty. Regardless of what you choose to do at the end of your lease, Germain Honda of Ann Arbor is here to help you every step of the way. Give us a call or stop by today to talk through your options! *Vehicle must have a clean Carfax to quality for $250 lease turn-in credit. *Waiver reflected is for vehicle leases dated October 13 or after. For specific benefit information on your current HFS lease contract, please log in to your HFS account and select End of Term. **Total amount not to exceed $1,000.